Popheaval: Previously unreleased Grace Jones material has surfaced! Previously unreleased Grace Jones material has surfaced! Grace Jones's iconic 1981 album Nightclubbing is going to be reissued next month via Island Records/Universal, as reported by The Quietus. 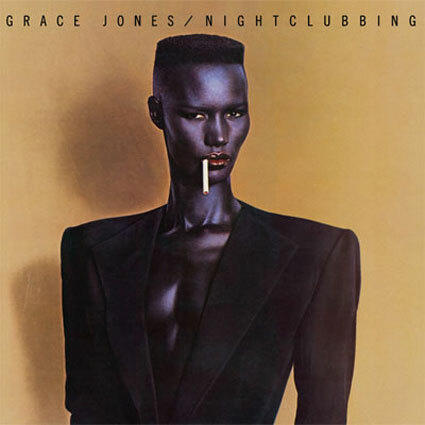 Nightclubbing, usually regarded as one of the most essential Grace Jones records, is her best-selling studio release to date and yielded classic singles such as "Demolition Man", "Libertango (I've Seen That Face Before)" and most notably, one of her definite signature hits, "Pull Up To The Bumper". Meanwhile, Jones has been reported to be working on a memoir set to be released next autumn, whilst material for a new album is also in the making. And for slightly newer Grace Jones material, check out Popheaval's review of her 2008 comeback album Hurricane.